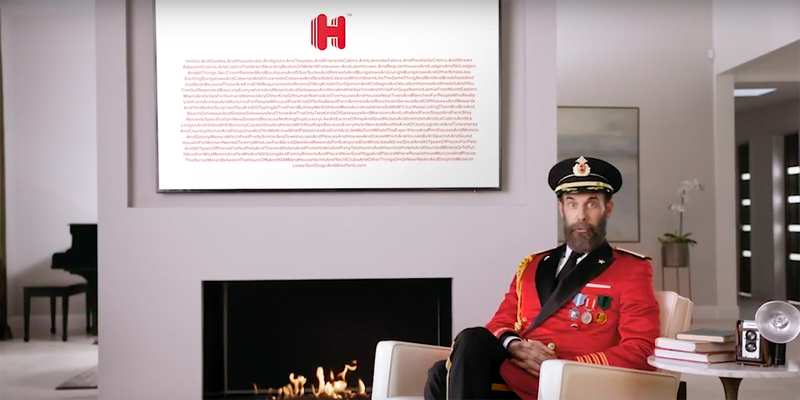 Captain Obvious was up for the task of reading the entire URL in a video. You know that Hotels.com can help you book a hotel, but you might be unaware that it also offers seaside cabanas, yurts and the occasional dolphin motel in lower San Diego. 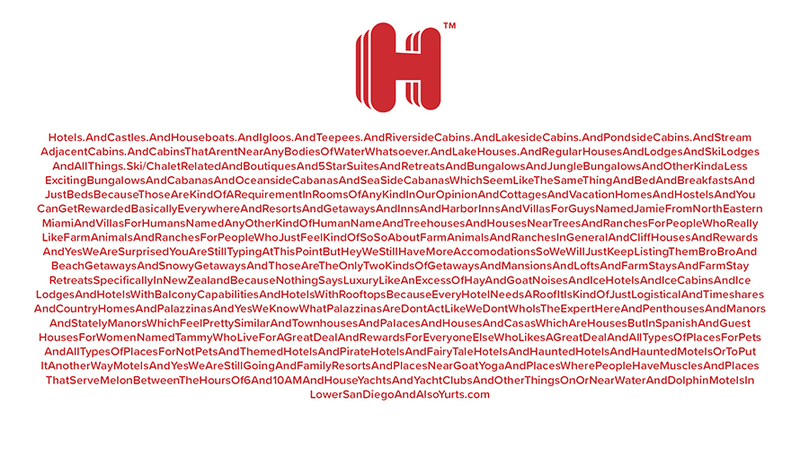 To expand on its well-known name, which of course is also its web address, Hotels.com has booked what it calls the longest URL ever published. Created by agency CP+B, the address takes up a spacious 2,083 characters.